North Bridge Productions offers creative video production services, script to screen, to businesses in Greater Boston, Massachusetts, and New England. Team led by Emmy-winning news reporter and a CNN-CNBC veteran. All-digital studio. If the business hours of North Bridge Productions in may vary on holidays like Valentine’s Day, Washington’s Birthday, St. Patrick’s Day, Easter, Easter eve and Mother’s day. We display standard opening hours and price ranges in our profile site. We recommend to check out northbridge-pro.com for further information. 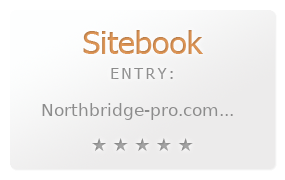 You can also search for Alternatives for northbridge-pro.com on our Review Site Sitebook.org All trademarks are the property of their respective owners. If we should delete this entry, please send us a short E-Mail.